The demand for trained medical support professionals is booming. With the right training, one of these jobs can be yours. But what are these jobs? What is the right training? Now, thanks to StraighterLine, you can find out for yourself and take the right steps towards your future career. 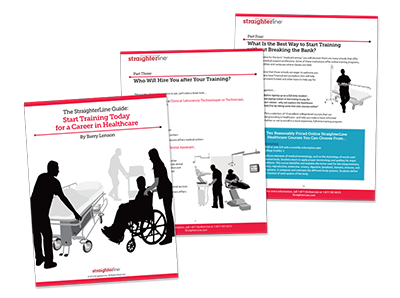 You can now download and enjoy The StraighterLine Guide: Start Training Today for a Career in Healthcare.